As a business owner, or even a manager, there are lots of tasks that need to be done in a day. Nowadays, most of these tasks can be outsourced, placing less pressure on you to get everything done at the same time and reducing the risk of falling short on deadlines. However, putting the fate of your business into the hands of someone you have never met, possibly on the other side of the world, can be a scary thing when you first start out. Like most things in life, there are risks involved. And because of these potential risks, business owners, who are new to outsourcing, are often left searching for answers to their numerous outsourcing questions. However, while the risks may seem crippling and somewhat of a gamble, it is important to note that now is the best time to try and use online outsourcing. If you are a business owner or manager who is even considering outsourcing some of your tasks, there are some things you should know about first. Today, we will be answering 6 outsourcing questions that you, as someone who is just getting started with online hiring, need to have answered. So read on and hopefully, by us answering these outsourcing questions, we will save you time and energy that you can use doing the things that are important for your business to be more successful. 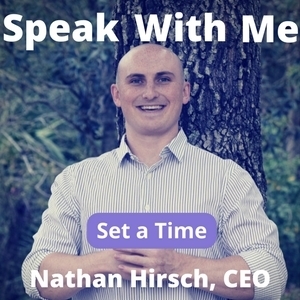 #1 What Tasks Should I Outsource? 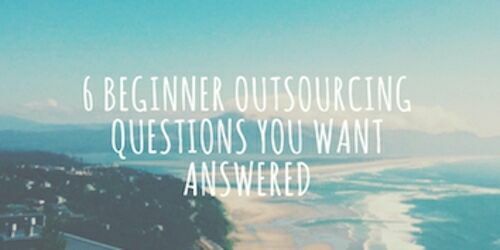 This is one of the most frequently asked outsourcing questions on our list. When asked what is holding them back from outsourcing, people often answer with “I honestly don’t know where to start,” or “I don’t know what tasks I should outsource.” Although outsourcing may seem overwhelming at first, it is not as hard as you would think, you can actually outsource any task you feel is necessary. But, the most common tasks are as follows: Customer Support, Data Entry, Accounting, Research and Development, Web Design, Creative services and Computer Programming. Customer Support: As one of the most outsourced business tasks, customer support, or phone support, provides an easy solution to the ever-growing expenses of call centers in various industries all across America. While the costs of having a call center in the states is high, outsourcing to a country like India or the Philippines can do the same exact work for a fraction of the price. Nowadays, if you are a solopreneur with little to no staff, you can even outsource your phone support to a single person. Data Entry: With routine tasks like indexing, scanning, cataloging and order processing becoming more and more tedious, outsourcing tasks within the data entry category is a must. Business owners and entrepreneurs can quickly and easily finish projects with great accuracy by outsourcing these tasks. Accounting: This is probably one of the most suited tasks to outsource. With it’s standardized methodology and professionals all across the world, accounting can be easily outsourced to overseas workers who have experience with the accounting practices of American companies. Research and Development: Most businesses today outsource their research and development. From market research to customer demographics and financial research to pharmaceutical research, nearly all research and development can be outsourced overseas. However, it is important to be wary of someone claiming to be a “one size fits all” type of research and development, lean more towards the people, or firms, who specialize in particular areas. Web Design: While many businesses prefer to use in-house web designers, it is important to remember that, although not all design work is suitable for outsourcing, quite often, there are more skilled web design workers overseas than you have already. And with new technology being created every day, you can easily monitor designers throughout the whole project. Creative Services: With hundred of thousands of people venturing into the realms of entrepreneurship by deciding to create their own businesses, logos will need to be designed, articles will need to be written, advertizing will need to be created. To tackle these tasks, firms overseas, as well as skilled individuals can be hired for your creative outsourcing needs. Computer Programming: Similarly to web design, computer programming is a popular outsourced task. Likewise, not all computer programming tasks should be outsourced because of the sometimes sensitive nature of the content. However, when needed, outsourcing these tasks can be a great help, as there are a plethora of workers who have the computer programming skills needed to finish your projects within a timely manner as well as with great precision. This makes it easier for you to finish your computer programming tasks, without having to break the bank in the process. #2 Can I Outsource Even though I’m a Small Business? This is another one of those common outsourcing questions we hear all the time. When we ask people why they haven’t outsourced part of their business yet, their answer is usually “well, I’m such a small business, why bother.” or “I thought that outsourcing was only for big companies.” We are here to tell you that, although big companies are always outsourcing their business, this does not mean it is exclusive to them. The majority of the time, big businesses are only outsourcing their business because it reduces overhead like people taking up office space and consuming office supplies. But it all boils down to one thing…saving money. Of course, there is room for everyone to save money by outsourcing, and that includes small businesses even as small as an individual entrepreneur. If you are like a lot of small businesses out there, the size of your company may not be big enough to support or supply enough talent, or rather individuals with talent, in-house. As a small business owner or entrepreneur, you should be taking advantage of outsourcing to skilled freelance professionals. This will allow you to access the expertise you don’t have, which will give you the momentum you need to gain success. #3 What Does Outsourcing Cost? One of the other most important outsourcing questions is of course, “how much will outsourcing cost?” As the costs of owning a business have become more expensive over there years, American companies have sought to outsource some of their services to foreign countries. Although the United States has a minimum wage, it is not the same for other nations. This means that, though the pay is significantly less than what American workers make, that money travels further in the foreign countries, giving American companies the benefits of large, comparatively inexpensive workforce and allows them to pay much lower wages. With the American economy not like it used to be, most Americans are holding onto work for dear life. Throwing outsourcing into the mix and laying off domestic workers can potentially result in businesses paying a lot in terms of public relations, unless, of course, they choose to outsource to individual remote workers rather than outsourcing firms. With more stable and reliable outsourcing tools popping up, such as the freelance marketplace FreeeUp, who only hires the top 1% of workers, businesses can rest at ease knowing that every individual worker is not only priced accordingly, based on their skillset. There are also thoroughly interviewed by the FreeeUp assistants to ensure that every client is given the best worker for the task, at the best price. #4 How Much Access Should I Give? This is one of those sensitive outsourcing questions where people want to know, how much access is too much? Well, for one thing, you should always maintain complete control over your accounts and any components you provide when outsourcing, with limitations to access, unless it is completely necessary to grant full access. Remember, although it can be tempting to just let workers do their work freely while you take your hands off, having accountability is an important thing. Now, of course, you can protect yourself against issues by being cautious about giving out personal and sensitive information. Always maintain complete control over important information to keep workers honest and your business safe. #5 How Much Transparency Should There be? When you are outsourcing, most of the work is done out of sight and often overseas, so it stands to reason that being transparent with workers is a must to make up for the distance. To ensure minimal issues, you should have them periodically check in with you or visa versa by either setting up weekly or monthly meetings to discuss important things about what is needed for the following week(s). Apart from the regular meetings, they should be checking in with you and giving you daily reports, letting you know what you have done for the day for you to review and give them further tasks if need be. Doing these things regularly will ensure that there are not only minimal issues or setbacks, but it will also keep both of you informed of things. #6 Should There Be Objectives? This goes along with the last two outsourcing questions in that communication with workers is a key thing. Setting clear objectives is important because right from the start, you should make sure that you and the workers you hire are on the same page and have the same goals in mind for your business. This will ensure that there won’t be any conflicts or difference in opinions in the long run. And if workers are falling short of deadlines, let them know directly by showing them the positive and negative aspects of it. This way they understand fully what parts they have done wrong or right. Although workers may do well working by themselves, it is important to have open communication when it comes to your expectations and goals for their work. If you want the projects you outsource to be successful, you should clearly state what you want and provide a brief description about the role of workers so they don’t get confused. Simply receiving a negative report from your boss is almost pointless if it just points out the wrongdoings. You should instead provide suggestions for improvement, as well as positive and constructive criticism. Both of these will ensure workers will learn from their mistakes and won’t make the same ones more than once. In conclusion, remember that communication is the number one key factor that will keep workers informed, you pleased with their work and give your business success. Always picture the end. Keep in mind that almost everything must be brought to an end, even for outsourcing, so, be prepared for such an end to ensure that things will end gradually and on good terms with workers. Keep a plan in the back of your mind in case you need to halt outsourcing with a worker. If you are prepared well, than outsourcing can do more than just grow your business and make it more successful, it can maximize your strengths and help to make everything more efficient. If you remember this list of outsourcing questions and practice it within your own business, than you can avoid the dangers and boost your savings as well as increase productivity. And of course, that is what matters most. Right? 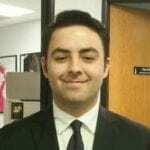 Trevor helps online businesses and entrepreneurs gain more leads and conversions by writing ebooks. 6 Ways to Delegate to Freelancers to Grow Your Online BusinessWhat’s After Hiring a Virtual Assistant for your Amazon Business? Hey thank you for the info – I have certainly picked up something new here. I always struggled with knowing what I can get help with. Accounting and customer service will be at the top of my list! Knowing your business well and what you can outsource, how much it should cost you, setting specific objectives, partnered with good management I think you can succeed in outsourcing your business even to somebody you haven’t met personally, offshore!